Ok, guys. This blog post sneaked its way into my little line-up of blogs posts I have prepared. My next blog post was supposed to be a recipe for my homemade butternut soup. But today I went shopping and boy was it a good day for shopping!! You know when you have that day where you go to the shops and you’re not really expecting to find something but then you go home with 3 or 4 bags of stuff. I had one of those today – the stars aligned and the gods of beauty-product-shopping smiled down on me. You’re probably thinking: Geez, this poor girl is off her rocker. Anyway, I got home and immediately took photos of some of my goodies because I wanted to do this post while the products were still available. About a month ago, I received another Estée Lauder free gift (I say another because I had received a free gift just the week before – see blog post here) because I purchased a face mask and foundation from them. I went home and a couple of days later took the photos of the items, and then a couple of days after that I edited the photos and by that time, the promotion wasn’t running anymore. And what’s the point of me showing you things when you can’t even go out to get it yourself? So THIS time around I want to strike while the iron is hot! I have seen the new Clarins Double Serum on a few websites and blogs – it’s apparently amazing. About a week ago I also saw that Clarins (at Edgars stores) currently has a promotion running: Purchase 2 products (one of which must be a moisturiser or serum) and receive a goodie bag containing a 30ml Eau de Jardins fragrance and 2 deluxe travel-sized samples from their selection. You can choose your own samples and they really are deluxe samples, more on this later. I wanted to try the Multi-Active Day Early Wrinkle Correcting Lotion, which is for all skin types and has an SPF 15. My skin is still deciding whether it’s normal, dry or oily so this day lotion is perfect. I tested it on my hand and was impressed with how soft it made my skin feel (almost like it could have priming qualities) and the scent of this is refreshing. It contains Ambiaty extract (a medicinal plant from Madagascar) which stimulates the dermal-epidermal connection to support the epidermis and provides the water and nutrients it needs. Retails for R 525.00 ($ 58.00) for 50ml (1.7fl oz). Then it was between the Instant Light Brush-On Perfector or the Instant Light Natural Lip Perfector for me. I have the Lip Perfector gloss in shade 05 and I am obsessed with it. I’ve been wanting to try the other colours as well but then thought the state of my under-eye circles takes preference! So I went with the Instant Light Brush-On Perfector. This reminds me of the YSL Touché Éclat pen (a bit more affordable though), it’s an illuminating concealer with hydrating properties. I’ve done some research and from what I can see it tightens the skin, smoothes out fine lines, conceals imperfections and boosts radiance. I’m quite excited to try this one. I have the MAC Prep n Prime Highlighter in Light Boost (which isn’t a proper concealer) but I would like to see how these compare. Retails for R 315.00 ($ 34.00) for 2ml (0.07fl oz). Now for the fun part, the free goodies! Let me tell you, the samples I received were proper sized samples. I was very impressed! There were quite a few I could choose from i.e. Wonder Volume Mascara, Gloss Prodige Lip Gloss, Extra-Firming Day Cream (30ml), Instant Eye Make Up Remover (50ml), Multi-Active Day Cream (30ml), Beauty Flash Balm (30ml), Super Restorative Night Cream (30ml), Moisture Rich Body Lotion (100ml), HydraQuench Cream (30ml) & Hand and Nail Treatment Cream (50ml). Look at the contents amounts of those samples – 30ml, 50ml, 100ml! That is incredible. I chose the Multi-Active Day Cream (apparently this one is richer than the one I bought, for the Winter season) and the Beauty Flash Balm. The Beauty Flash Balm can be mixed with your moisturiser or applied as a primer before your foundation, it apparently brightens, tightens and helps your makeup last longer. Just to give you an idea: The price of this (full-sized) is R 395.00 for 50ml, I received a sample size of 30ml – that’s a value of R 237.00 for just this one sample! Then I also received a lovely 30ml-sized perfume called Eau des Jardins (direct translation: water gardens). The scent reminds me of summer, it’s uplifting and refreshing. It contains essential oils of grapefruit, lemon, bergamot, orange, black currant bud absolute, wild rose, mint, along with dry oils of cedar, patchouli, vetiver and white musk. Added bonus of this product is it soothes and moisturises the skin as well. I received all this in a stylish beauty bag, I would insert a photo of it here but it didn’t really fit in my lightbox. – Katafray extract and Hyaluronic Acid complex help to restore the skin’s water reserves for comfort and softness. – Kiwi extract boosts the skin’s nutrition for suppleness. – Pistachio extract help to reinforce skin’s barrier function for protection. – Extract of Maritime Pine and Organic Musk Rose oil help oxygenate the skin for increased radiance. – Extract of Organic Green Banana, Lemon Thyme and Bocoa help visibly reduce wrinkles and increase firmness. When I applied the serum (of course I tested it) to the soft skin under the palm of my hand, it felt and looked a bit strange. Almost like an oil. But once I started working with it, it melted into my skin. The idea is to warm it between your hands first, then gently press it into the skin. I loved the smell of this serum (some serums I have tried tend to smell a bit meh), also a light refreshing scent. Now I know we shouldn’t always go for the scented / fragranced skincare products because they can cause skin irritation but the scents of the Clarins skincare products are very subtle (and they use mostly natural ingredients). Anyway, the lady was kind enough to give me a 7-day trial box containing 7 little sachets. Now, I can test the serum out for a week and decide whether it’s suitable for my skin. 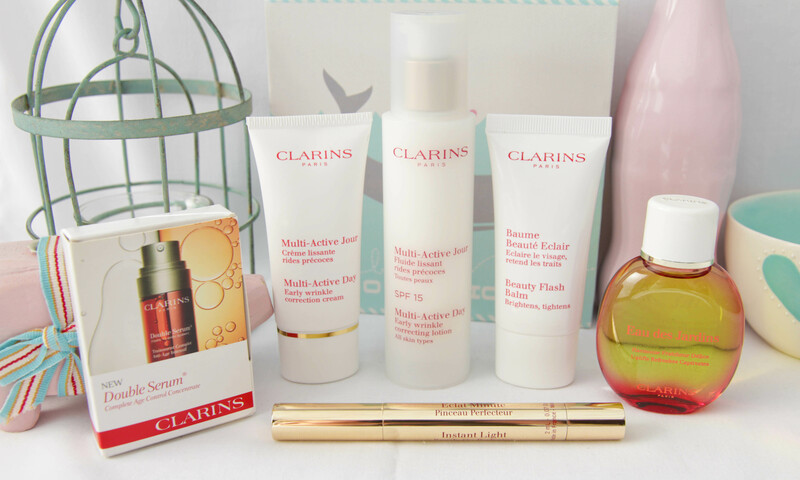 Here are the details: Buy two Clarins products (one of which must be a moisturiser or serum), and receive a cosmetic purse containing 2 mini makeup products AND choose 4 free travel-sized products. The Instant Smooth Perfecting Touch product in the cosmetic purse is an amazing primer! Offer is available from 19 June 2013 to 7 July 2013 at selected Foschini, Stuttafords, Truworths and Woolworths stores. Great free gifts – I think I’m going to have to add the date of that promotion to my diary. I’ve been interested in trying the Clarins range but have been waiting for some of my current skincare products to finish before I go out to buy new things. The value of the samples are amazing! Thank you for the blog post! Thank you for this blog post, I have never tried Clarins products but I will have to save up to get something small to see how it works with my skin. Will you be getting the other promotional gift on the 19th? Ah Clarins, now you talking my language. I am a great fan of their extra firming foundation! I went to the shops today to try find these specials you listed but they did not have much stock left. I will try venture out again tomorrow hopefully with more luck at Menlyn! As far as I can see on their website the promotion ended yesterday, maybe some of the counters keep the promotions running for longer if they still have stock left? 🙂 If you find the promotion has ended, wait until the 19th of June (it’s just around the corner!). You lucky girl! 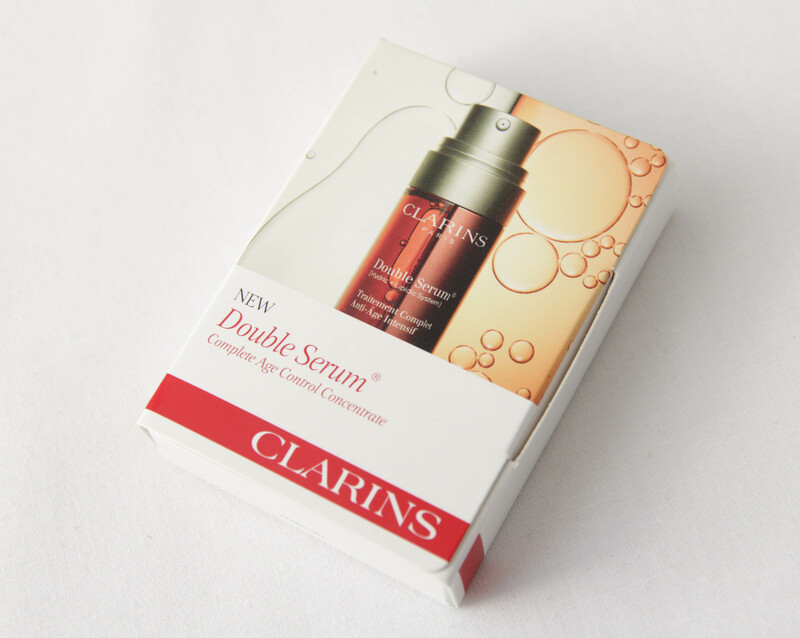 !Clarins is really a great product(unfortunately not for my pocket) and I wish I could try it! 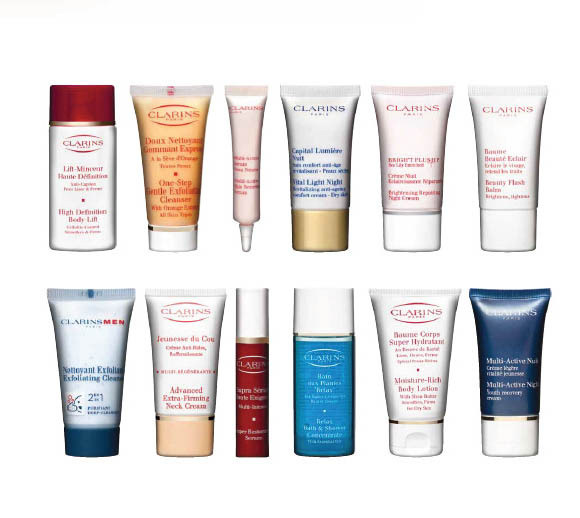 I am going to ask for some samples to try out and maybe, just maybe, lady luck will find me with a Clarins goody bag!! 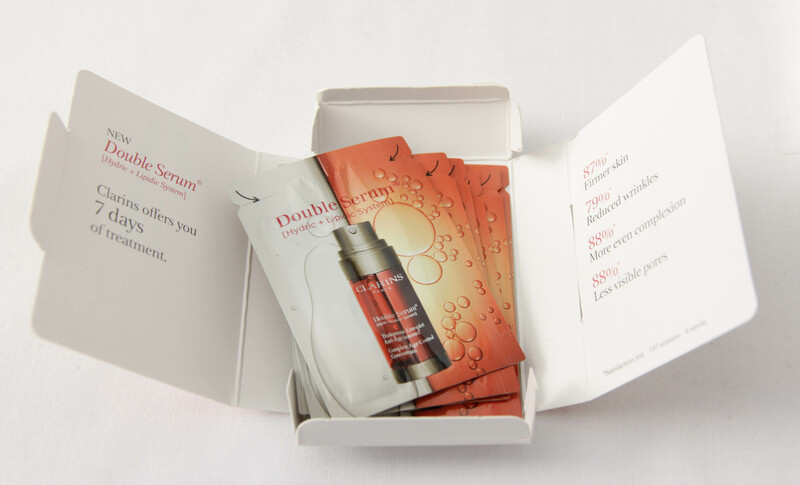 Let me know what you think of the samples you receive, I think you should specifically ask for the Double Serum trial pack. I’ve been using the serum for a couple of days now and in my humble opinion, it’s way better than the Estée Lauder Advanced Night Repair Serum!